The Dutch Wadden Sea coastline is an extraordinary area with great natural value and a rich cultural history. Tourists see it as an anonymous transit area en-route to the Wadden Islands. Shrinkage and the rise of sea levels demand new opportunities to strengthen the economic base and to enhance the spatial qualities. 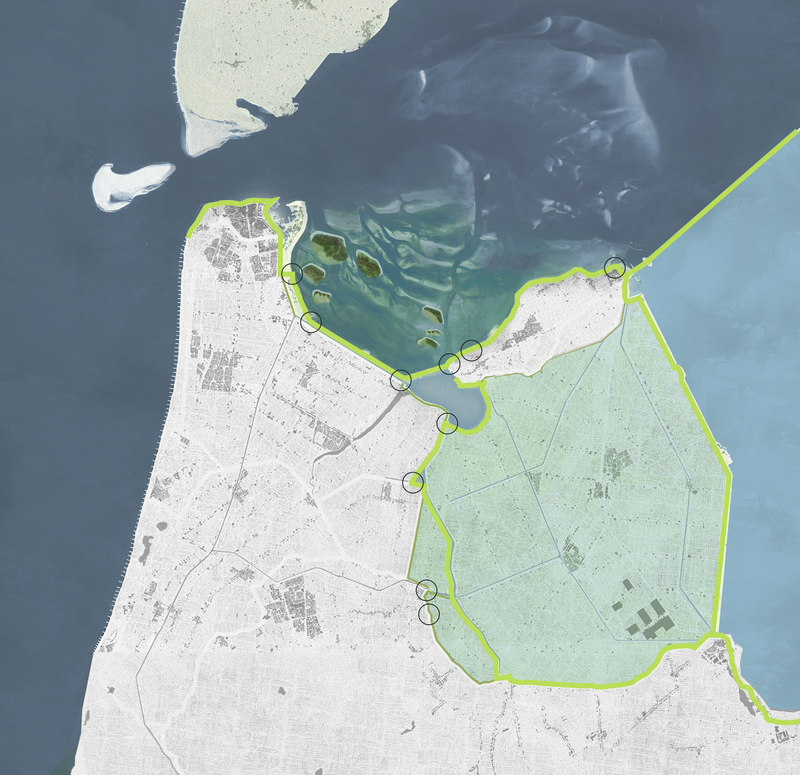 Bureau B+B did a research by design for the Wadden Sea coastline of North-Holland and designed an integrated vision on the spatial development of the area. The northern area of North-Holland wants to present itself as a hospitable region. 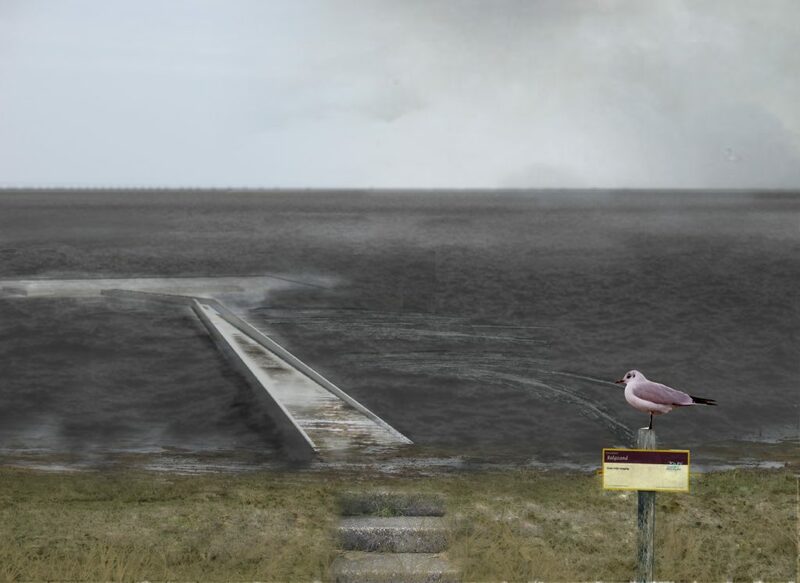 Visitors do not experience this due to the large areas of the Wadden Sea coast that are private property, inaccessible because of safety measures, or are nature reservations. Although the Wadden Sea coast offers a vast “landscape, not for wimps”, you can feel and smell the gray mud, the salty air and even the food from the polders and the mudflats. The coastline has the potential to combine hospitality with gastronomy. How do we make this fantastic landscape an experience of hospitality? First, we create access to the coast over the new and the old sea dikes. There are relatively few villages along the primal sea dikes. That is why we build ‘gardens’ at crucial positions. They are secluded, comfortable oases in the vast, windy landscape. 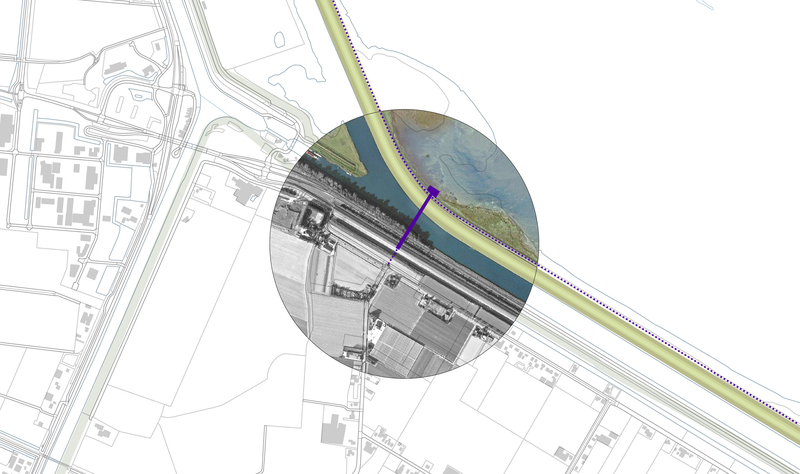 The dike becomes the connecting element, as well as the gateway to the mudflats. The biggest assets of North-Holland are the rich traditions of food production and the edible landscapes of the mudflats. 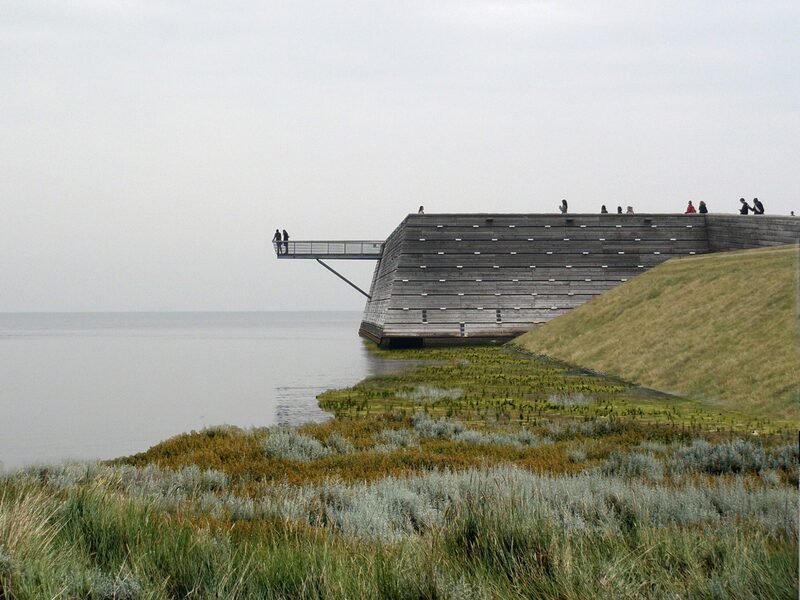 The dikes connect gastronomy to a destination, like a farmer´s market in Kolhorn, picking oysters by the discharge sluice and the tasting gardens at Den Oever. 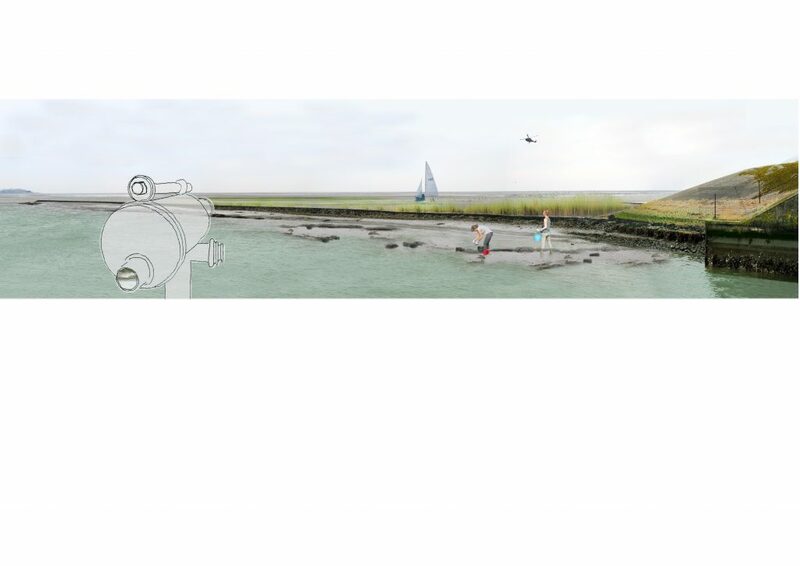 We defined ten strategic hotspots to access the Wadden Sea coast. Every hotspot is different and tells the story of the coast, the sea, the hinterland and the location itself. The hotspots are specifically not largely scaled touristic attractions, but hospitable places in an authentic cultured landscape, where people work, produce, live and eat. The dike becomes the gateway to the mudflats. 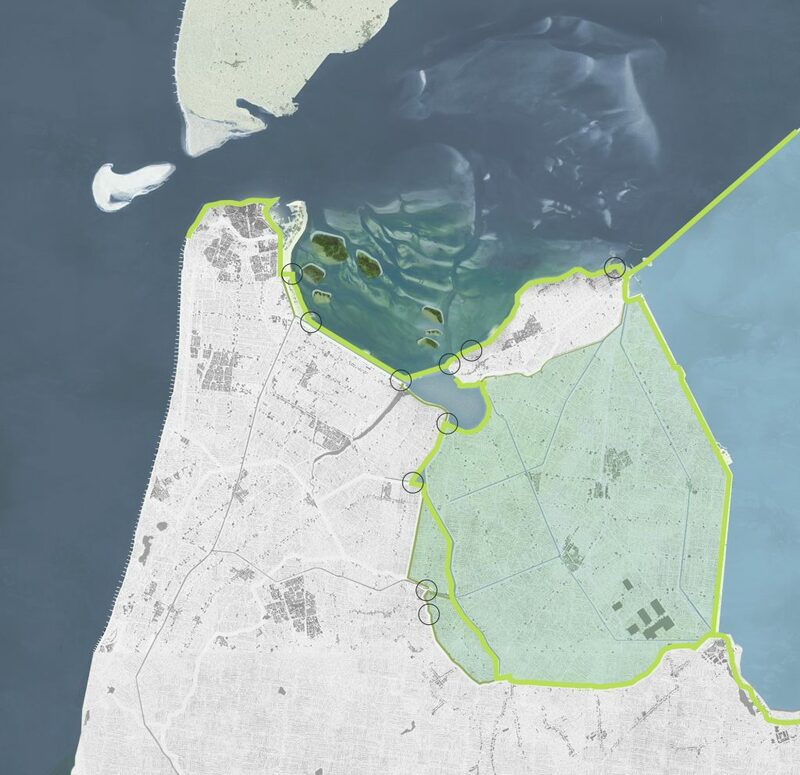 We defined ten strategic hotspots to access the Wadden Sea coast. Every hotspot is different and tells the story of the coast. The gardens are secluded, comfortable oasis in the vast, windy landscape. 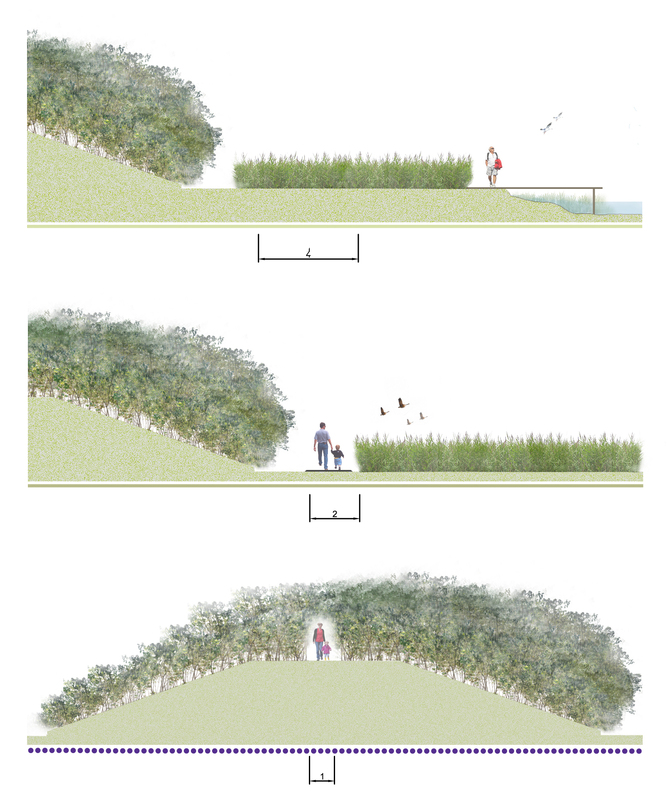 The dike becomes the connecting element. The Wadden Sea coast offers a vast “landscape, not for wimps”.